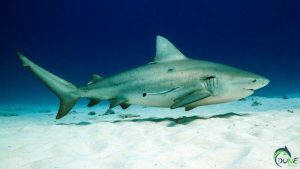 The purpose of the PADI Bull Shark Diver Distinctive Specialty Certification is to familiarize the student divers with the physical characteristics, habitat, behavior and conservation efforts for the bull sharks, a nearly threatened and truly amazing species of shark. This course also introduces the necessary skills, procedures and diving techniques required meanwhile diving with these beautiful animals in the crystal clear waters of the Mexican Caribbean. Fill up our PADI Medical Questionnaire. This form is to find out if you should be examined by your doctor before participating in recreational diver training. If any of the items in the Medical Questionnaire apply to you, you must consult a physician prior to participating in scuba diving. This course is promoting shark conservation by providing a close encounter with the sharks, and giving the chance to observe them in their real habitat, thereby establishing a strong emotional connection to them. This connection, and also the general conservation information shared throughout this course will ensure a more active participation in conservation. 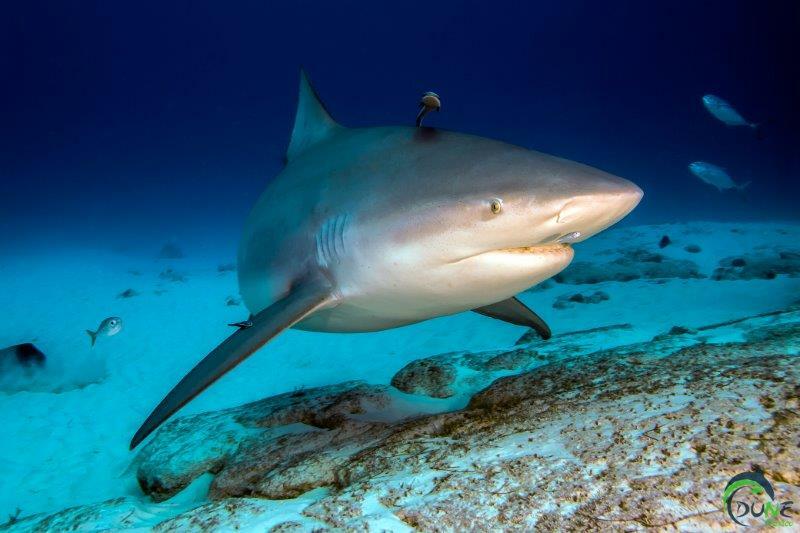 If certified divers are the ambassadors of our oceans, certified shark divers, after their close experience are the true ambassadors of the shark world. This course is intended as a safe, supervised, diving experience with extreme emphasis on safety, education and conservation. This course wants to transform a simple shark dive into a lifetime experience, knowledge, and commitment towards protecting these magnificent animals, and keeping them for the next generations. Bull Shark Diver Distinctive Specialty Manual. We have the right Pricing for you! 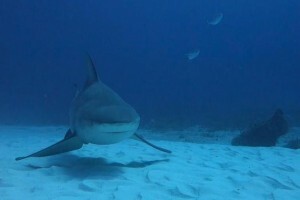 Get familiar with the bull sharks and learn the necessary skills, procedures and diving techniques required when diving with sharks. Face new types of challenges and work with your instructor to build your skills and gain more confidence. Get familiar with modern digital equipment, learn and use your own camera like a pro. This is a great way to get more dives under your belt, increase confidence and build new skills. What should I bring along? Your swimsuit, towel, diving credential and the liability and medical release forms. PADI distinctive specialty certification fee. Photos and Videos: Turn your dive adventure into a photo shoot. Please reserve this service in advance. All prices are per person. All prices are in US Dollars and are subject to change without notice. Our prices include 16% sales tax. We know that things can happen before or when on vacations. We are 100% honest and transparent with our refund and cancellation policy. Please read our Terms & Conditions before you book.